The audio can be downloaded from here as an MP3 file directly. You can listen right here using the controls below. From James McGregor Burns and Peter Drucker to Steve Jobs and Barrack Obama, Western thinkers and leaders are playing a big role in shaping our perceptions about leadership. Certain ancient texts too, like the Art of War and Arthashastra, have exerted an influence on modern leadership thinking. However, Thirukkural has still not made a significant impact in this arena, on a global scale, despite being a treasure-trove of powerful thoughts. The speaker, Kannan, has developed a Leadership Model from Thirukkural. Striking a fine balance between Aram, compassion and effectiveness, Thirukkural complements the modern practice of leadership in certain aspects and offers a powerful alternative in many areas. In this session, he will be presenting a different perspective on leadership and Thirukkural. Kannan T is the Founder and CEO of Seer7 Timeless Solutions (www.seer7.com). In an attempt to inspire young minds to become righteous, compassionate and effective leaders, he has developed a leadership training program based on Thirukkural. Using modern tools and methodologies of leadership training, he has been introducing the timeless concepts of Thirukkural to students. Before starting this venture, he was the Vice President at MphasiS, Bangalore, heading Learning and Analytics. He has also worked in managerial positions at Standard Chartered Bank and HCL Infosystems. Kannan is an engineering graduate from College of Engineering, Guindy at Chennai and has done his MBA from XLRI, Jamshedpur. 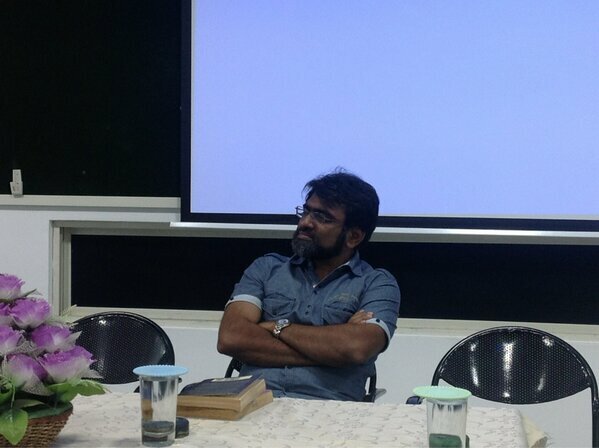 He is an ardent bi-lingual blogger and poet, writing in English and Tamil. He has also been translating Thirukkural and other poems from Tamil literature into English.